The SCAVENGE project celebrates its 5th Progress Meeting. This time, the meeting will be held at CTTC premises, in Castelldefels, in September 27th and 28th. The meeting is open, so you all are welcome to attend. Please send us an e-mail to pm@cttc.cat if you are interested in taking part of the meeting. 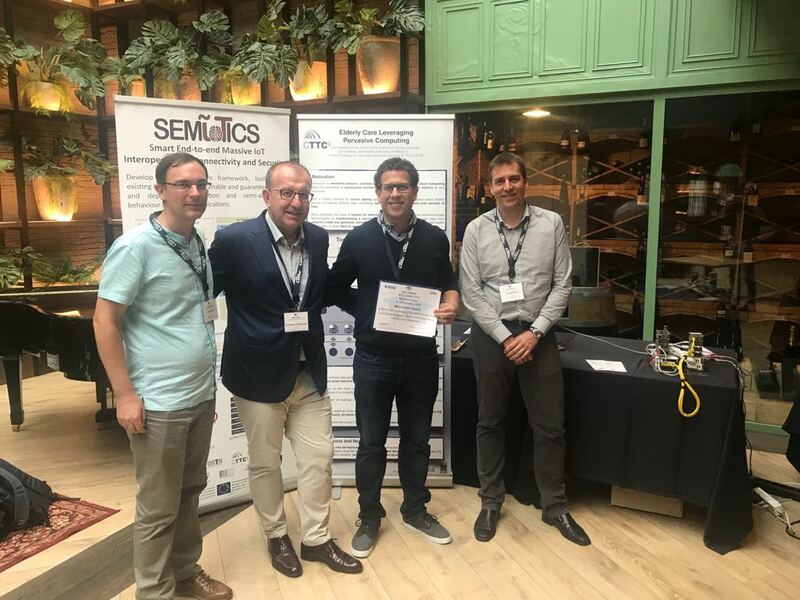 Jordi Serra, Christos Verikoukis, Luis Sanabria-Russo and David Pubill, researchers from the CTTC are awarded for the Best Demo at the IEEE International Workshop on Computer-Aided Modeling Analysis and Design of Communication Links and Networks (IEEE CAMAD 2018).